Has been serving the people and communities of rural Baca County for over forty years. The District was established in 1966 as a not-for-profit hospital and officially opened its doors in 1969 with 23 acute care beds. Since that time the District has followed its vision "to provide a comprehensive healthcare system to our isolated rural service area" through an active pursuit of enhanced health care services. Some key services added in fulfillment of this vision include the addition of a 40 bed intermediate care Long Term Care Center in 1983, establishment of a Home Health Agency and Hospice added in 1992, and the building of a 16 bed secured Alzheimer's Care Unit adjacent to the Long Term Care Center in 1996. 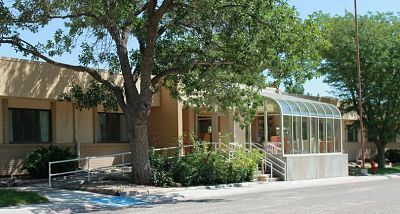 SECHD's vision continued when in 1995 the Specialty Physicians Clinic program was developed, and in 2007 when the new Physicians Medical Clinic facility was completed.